Small Fry Dance Club’s mission is to instill a love of dance in children, their family, and their community. No matter the degree of each child’s dance goals, discovering movement should be nothing but empowering. Classes range from 18 months of age to 5 years of age. Small Fry Dance Club – Dance Starts Here! There's still time to get into our June Recitals! Our shows offer you the chance to see everything we have been working on in class. It’s a great, stress-free way to introduce your little one to performing live on stage! Come join us for the cutest recitals on the planet! Sign up today, as spaces are limited. For details on the upcoming June shows, click the button below. 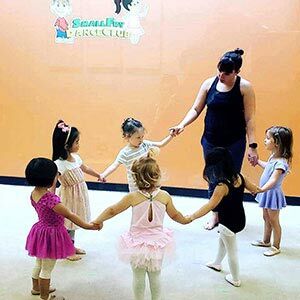 Small Fry Dance Club prides itself on offering age appropriate classes to preschool age students. We have our own proprietary curriculum developed and improved upon over the past decade. Many of our teachers have both dance degrees and child development backgrounds. Your classes will not be led by a teen or teacher’s aide. 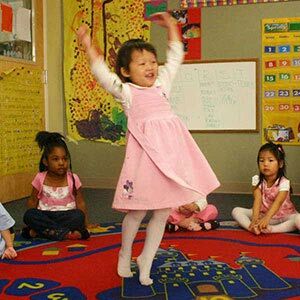 We believe preschool classes are the foundation for a lifetime of dance and should be treated appropriately. Be sure to check our program for kids 5 and older, Principal Creative & Performing Arts. Come learn basics in ballet, tap, jazz, hip hop, and musical theatre in our dance studio located in San Mateo, CA. Classes are offered 7 days per week so there is a likely a class that fits your schedule. Our studio has 4 rooms for our dancers. Our smallest room for Music & Movement classes is carpeted for the littles. Our other rooms all have sprung floors to keep dancers from injury as they get older. We also have a large lobby area with viewing windows for all Small Fry classes. Free parking and a safe location. Come try a free class today! The same award winning classes we offer in our studio are also offered at select preschools in the San Francisco Bay Area. You must be enrolled at the preschool center to be eligible. Don’t see your preschool on our list? Tell your program director to contact us. We would be happy to setup a free trial day at your preschool. THE PERFECT WAY TO INTRODUCE YOUR DANCER TO THE STAGE! Small Fry Dance Club rotates through styles every six months. Each style covered in our Dance & Performance classes culminates with our bi-annual performances in June and December. Performances are designed specifically with the preschool age dancer in mind. Each performance is only 30 minutes in length and your dancer will be on stage for the entire show! Our performances are meant to be stress free for both the dancers and their families. 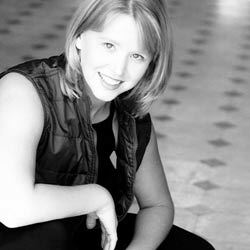 Bay Area Strings Academy owner, Allison Zenner, brings her music lessons to our studio every Wednesday afternoon. This is your chance to dance and take a music lesson all in one place. 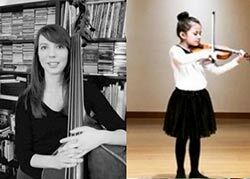 To learn more about what Bay Area Strings Academy offers, visit their website by clicking the button below. 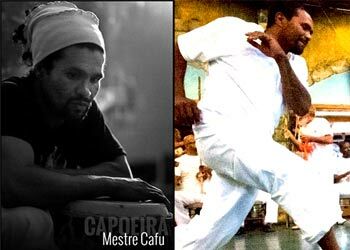 Mestre Cafu is a world renowned Capoeira instructor. He founded studios in Brazil, California, Texas, and Hawaii just to name a few locations. His fun, high energy classes are taught in our studio every Sunday. With classes ranging from 2 years of age up to 12 years of age, we hope you find an option that works best for your dancer. to learn more about this amazing martial art form, please click the button below. During her 22 years of training Jana has studied jazz, tap, hip hop, Afro – Haitian, Dunham technique, and choreography. Jana has been most influenced by Janel Tomblin – Brown, Ehud and Daynee Krauss, Susan Whipp, Alicia Pierce, and Kimberly Iniguez. In May of 2002 she completed her Bachelor’s degree in dance at San Francisco State University. To learn more about Jana, visit our staff page. Carlos is Jana’s husband and co-founder of Small Fry Dance Club and Principal Creative & Performing Arts. 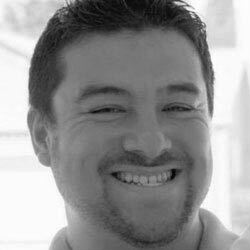 Carlos has a background in Multimedia and Marketing and helps run the day to day office duties for both programs. Carlos also manages the company websites and social media accounts. We are lucky to have an awesome set of instructors. 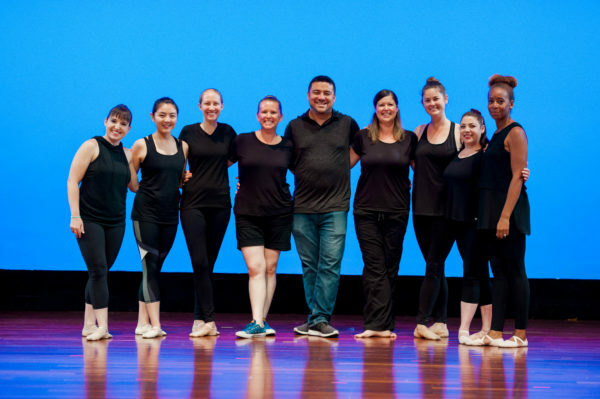 Many on our staff dance professionally, have early childhood education backgrounds, or both. All our teachers are background checked, and trained to work with the preschool age groups. We offer one free trial lesson to new students. If you’re ready to start, click the button below.